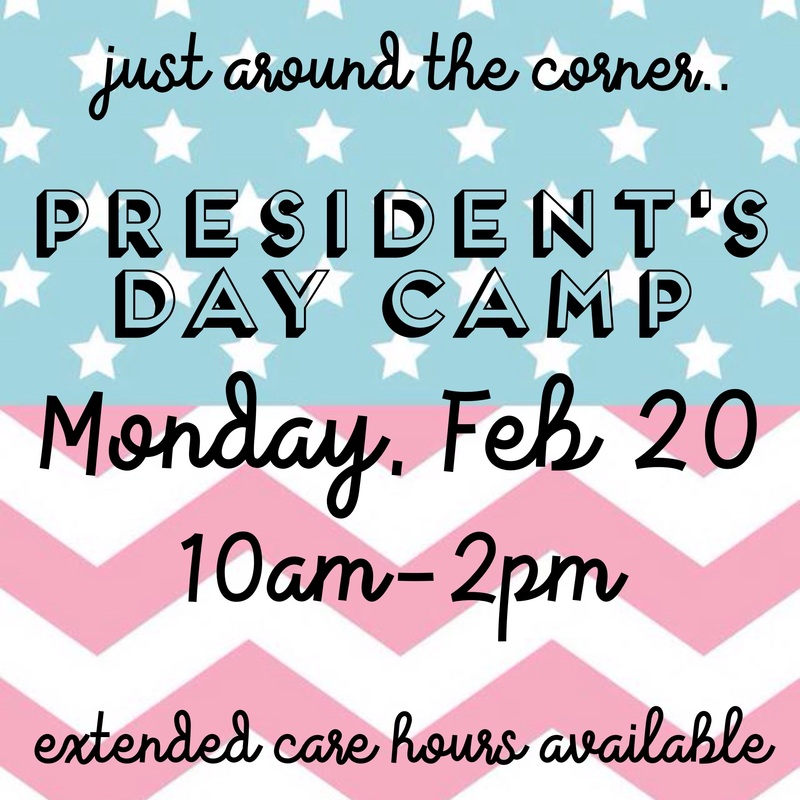 School is out and Art Zone is in this Monday – join us for President’s Day Camp! 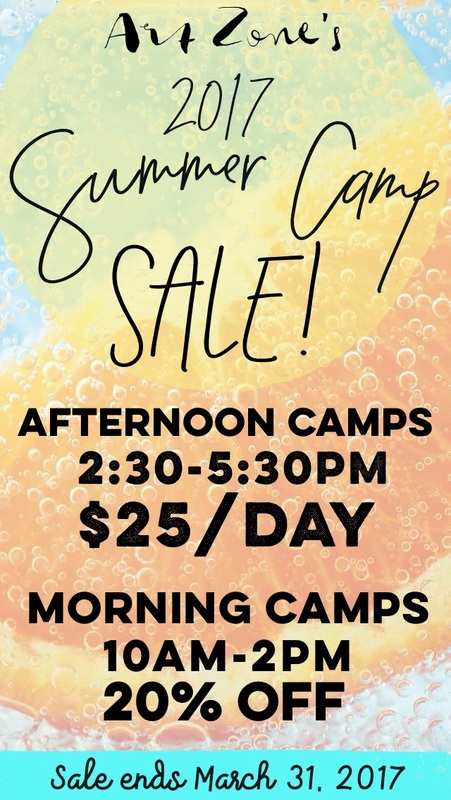 West LA Summer Camps are on sale! 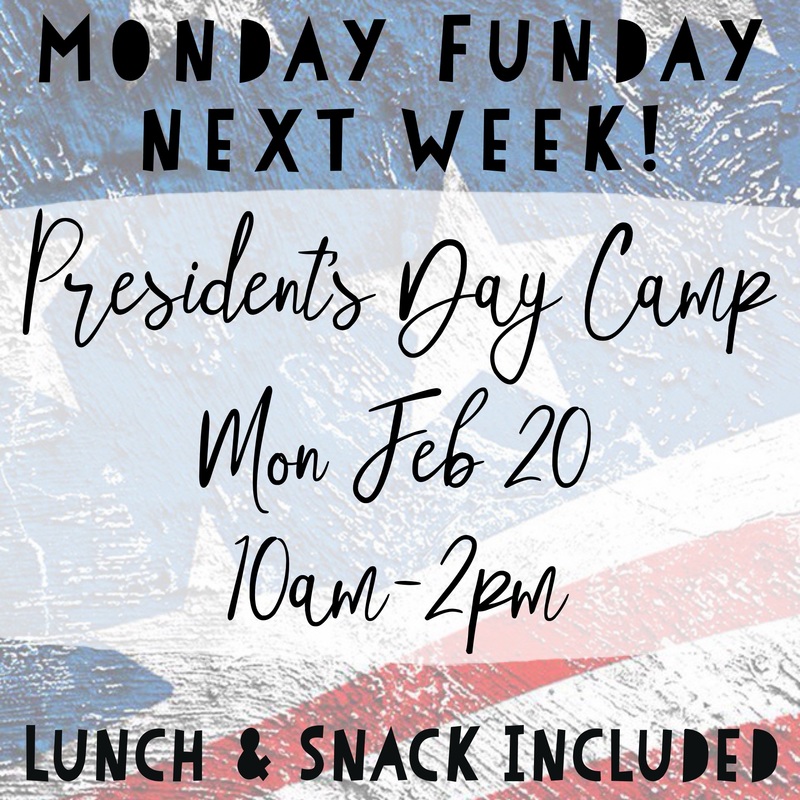 President’s Day Camp is Almost Here! Register the kids for Monday’s Holiday! Hermosa Beach Summer Sale! 50% Off! 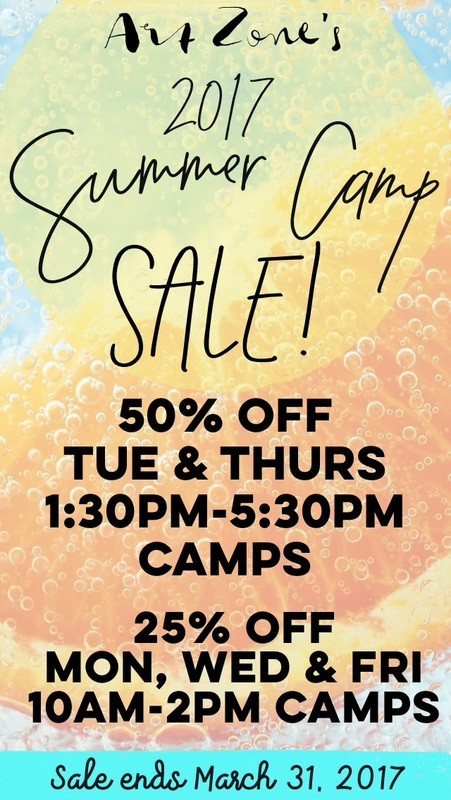 We are so excited to announce Art Zone Hermosa Beach is offering 50% Off Afternoon Summer Camps! Ends March 31, 2017. Register Now to get the dates you want! Valentine’s Day Party Feb 9! Make a reservation to join this awesome event! 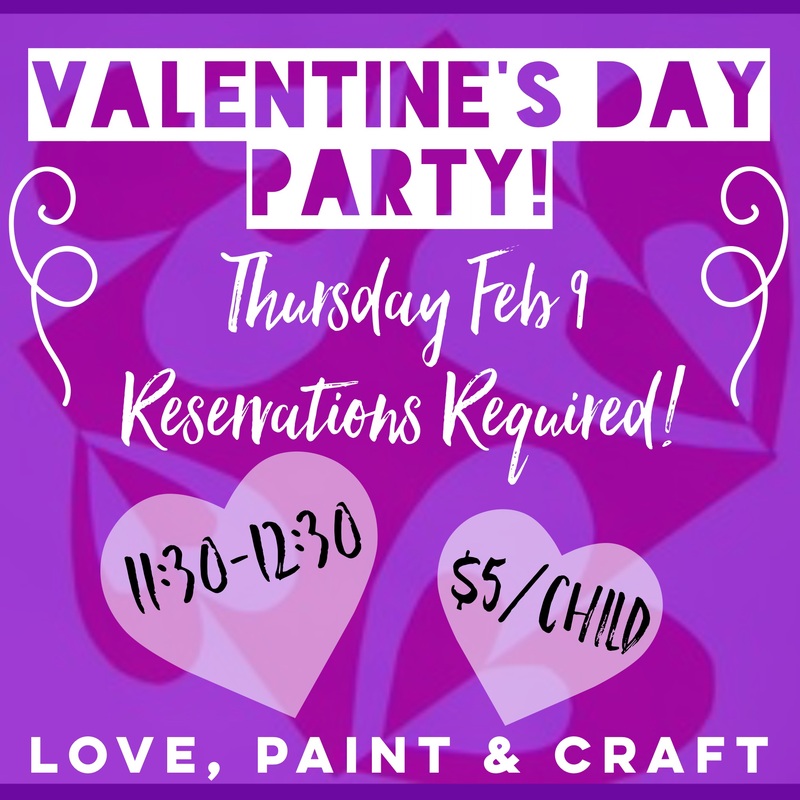 Only $5/child – super fun & sweet Valentine’s Art for everyone! 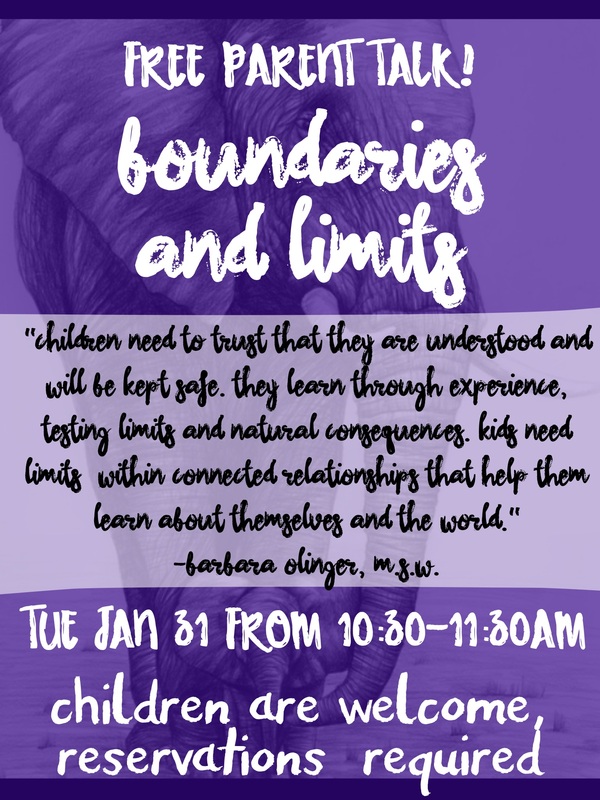 You don’t want to miss this incredible and important talk given by the amazing Barbara Olinger, M.S.W. Barbara has authored “Growing From the Roots: A Practical Guide to the Art of Parenting” and directed the YWCA Children’s Center for 25 years. We are thrilled to be in collaboration with her. Call or Text us to reserve your spot – 310 889 8598 And YES – children are welcome! Parent Support Groups now at Art Zone West LA! Art Zone West La in partnership with Barbara Olinger, M.S.W. bring to you Parent Support Groups. Click below to see a Printable Flyer with full registration details and schedule. We are so excited to start the new school year with lots of messy handprints and finger painting! Follow us on instagram and Facebook to keep up with what our little artists are molding next. Here’s a look at our some of the special connections and friendships we built, and all the little creations that came from them. WELCOME: Art Zone values many varied approaches to exploring art making. Every day, we always include messy sensory fun along with a more structured art lesson. 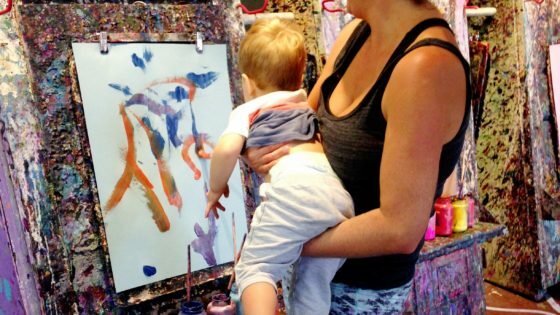 Art Zone skilled teachers intentionally engage many senses providing rich exploration of color, shape, line, texture, smells, along with sounds of fun music and the laughter of friends. Welcome to Morning Summer Camp. 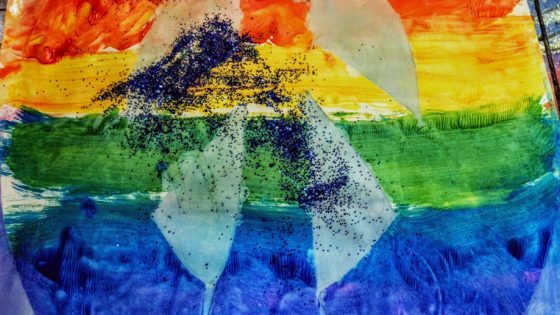 SUMMMER MORNING ART CAMP: Art Zone Summer days begin with morning summer camp for children ages 3 and older. Our morning summer camps are 4 hours beginning at 10:00 am and pick up at 2:00 pm. We offer extended care if parents need an earlier drop off time or a later pick up time. ARRIVAL: We open our doors at 9:45 am to allow a 30 minute window of time for parents to drop off, settle the kids in, and rotate in and out of our limited parking spaces. By 10:30 all the kids have arrived and are actively engaged in a variety of activities. FUN AND ACADEMIC SUCCESS: When our morning begins, some friends are enjoying creative play in the dress up room, some are working next to a friend at the clay table. A few kids have ventured into the water room and are pouring, measuring, counting and enjoying the exploration of the wonders of water. The “goo table” is a popular option as kids stretch, squeeze, cut, pinch, and form our unique version of silly putty. You can almost see the fine motor skills and hand muscles growing and growing. 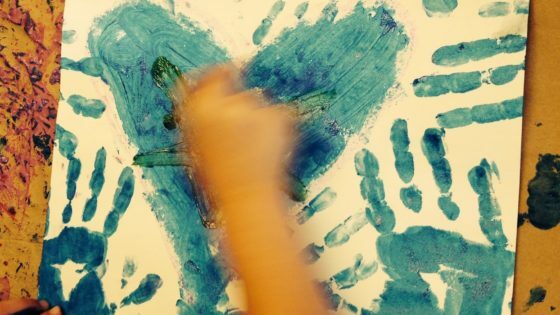 The squirt paint room is another fun way kids develop the hand and arm muscles they need in order to write. Hidden in our fun activities are always ways for children to develop the tools they will need to be successful academic students. This includes social skills, pre-math skills, and pre-writing skills in addition to imagination and creativity. CREATIVE LEARNING USING ART MAKING: Next up for Morning Summer Camp is our group meetings. We learn the teacher’s names and the rules and responsibilities of the Art Zone community. During this time, the skilled teachers are checking on the physical and emotional comfort of the kids with empathetic observation. After group time, about half the kids follow the art teacher to engage in a structured teacher-led art lesson with lots of room for creative expression. Kids not participating in the art lesson, are having snack and continuing their morning play. When the first group is finished, we switch groups and everyone finishes their art lesson. Lunch is served, more play activities abound. Throughout the day, inevitable play conflicts are negotiated to build the skills of the children with the support of mindful teachers. After lunch, the art tables are switched out, science exploration is offered. Kids are exploring properties of shaving cream, or perhaps vinegar and baking soda. 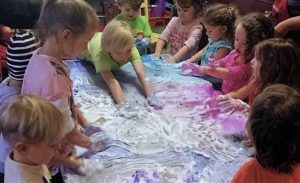 This is big messy fun; we know this is great for kids, but most parents do not want this at home! We end our day with a dance party or play-acting skits. Pick up time is a mixture of sadness and some tears, and excitement to be reunited and share remembrances of an amazing day. West Los Angeles Camp Schedule: Morning Camp is offered Monday through Friday. 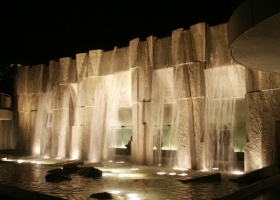 Photo from Martin Luther King, Jr. Memorial at Yerba Buena Gardens in San Francisco. Celebrating MLK JR brings complex questions to my line of work. I have not met anyone who would (openly) disagree that we have made progress in race relationships in the United States since 1960. I have not met anyone who (openly) disagrees that discrimination based on race still exists today. Between those two reasonably accepted lines lies huge disagreement, a million opinions, anger & defensiveness, inattention & apathy, painful unimaginable grief, graduation & celebration, thoughtfulness & hidden consciousness. So what do we teach the kids?!! What do we teach the 3 to 9 year old’s that come to camp today? How do we celebrate the work of civil rights? We teach that the work is not finished. That every voice matters. That empathy is the great healer. By sharing power, we teach that power is to be shared and used for the common well-being of us all. We teach that if one child has a problem in the classroom then we are all of us concerned. In a word, we teach nonviolence. We don’t teach nonviolence only on holidays. We don’t learn to appreciate race, class and cultural diversity only one day a year. We live our principles at Art Zone each and everyday. We don’t do it perfectly. It is messy, sometimes confusing and uncomfortable. We go there. There is endless work to be done. This work starts with me and you. Thank you Martin Luther King, Jr. and all those working tirelessly today to carry the dream forward. Thank You #Blacklivesmatter. Thank you Karem Abdul Jabar for your words today.